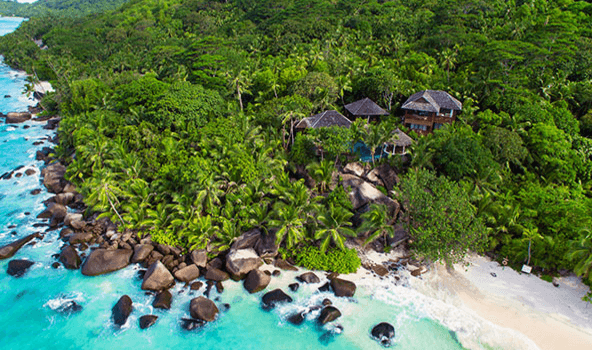 Book online or phone +248 429 949 The Hilton Labriz is the only hotel located on the idyllic Silhouette Island in the Seychelles. It is a short boat ride away from the main island. 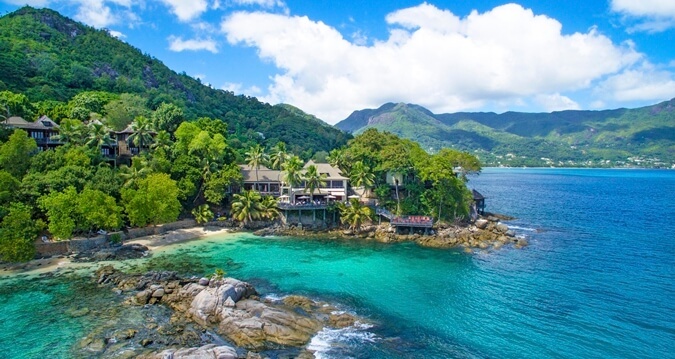 The resort promises beautiful stretches of quiet beach, glorious sunshine, coral on your doorstep and some of the best snorkelling in the Indian Ocean. This place is paradise and the villas act as stunning suites. Highlights: Swimming Wildlife Tranquility Nearest Airport: Victoria International Airport Awards/Affiliations: Sloaney . 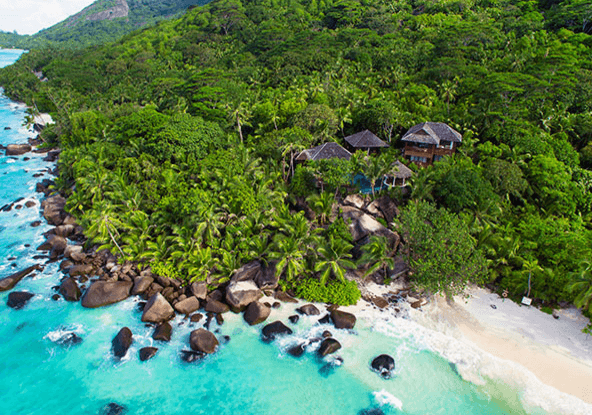 Book online or phone +248 429 9000 This resort is based on Mahe, which is the main island in the Seychelles. It is a tropical paradise and where Ian Flemming gathered his thoughts when writing James Bond. Every villa has a view of the Indian Ocean and also offers great privacy. There are infinity pools in many and the food is excellent. Highlights: Privacy Cuisine Nearest Airport: Victoria International Airport Awards/Affiliations: Sloaney Suites accredited; Member of Hilton HHonors “ The Hilton .